Once restricted to bars & pubs and now a must-have in every home, here is the story of the high and mighty bar chairs. It is difficult to determine exactly when and where the bar stool was invented; however the most plausible explanation is it evolved from bench. Examples of seating have been found as far back as the Stone Age, where bench style seating was discovered in abundance. By using elevated seating, humans distinguished themselves from the animal kingdom. Evidences of bar stools were then found in ancient Chinese tombs and later in ancient Egypt. 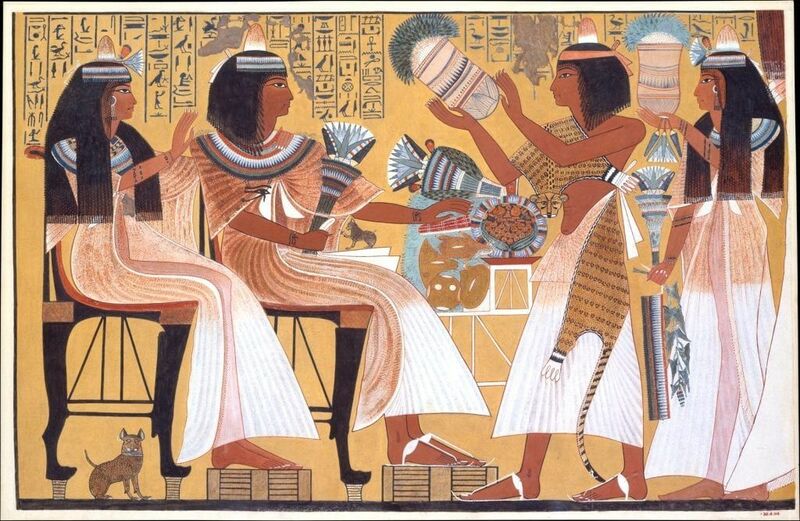 The Egyptians used both chairs and bar stools; the use of chairs was usually reserved for those with superior social status. This pattern continued, until the Renaissance came in, where the chair ceased to be a privilege only for the upper classes. Whilst thrones were generally the preferred form of seating for royalty throughout Asia, the Middle East and Europe, bar stools were used in the place of thrones in some African kingdoms such as the Golden Stool of Ashanti in Ghana. Originally made solely out of wood, as were most other chairs, the Industrial Revolution advanced the range of bar stools and increased the demand & popularity dramatically. And now you can buy a bar stool/ chair made out of wood, plastic, metal or resin with seat coverings of leather, velvet and other materials. They are also not just confined to pubs and restaurants; the advent of the ‘breakfast bar’ in domestic kitchens has led to a revival of stools in homes as well. With such a long history and an appeal that continues even today, it seems safe to say that bar stools will be around for a long time yet. Now that the story is revealed, all you got to know is the various types & shapes of Bar Stools available and the ones that will fit right into your humble abode! 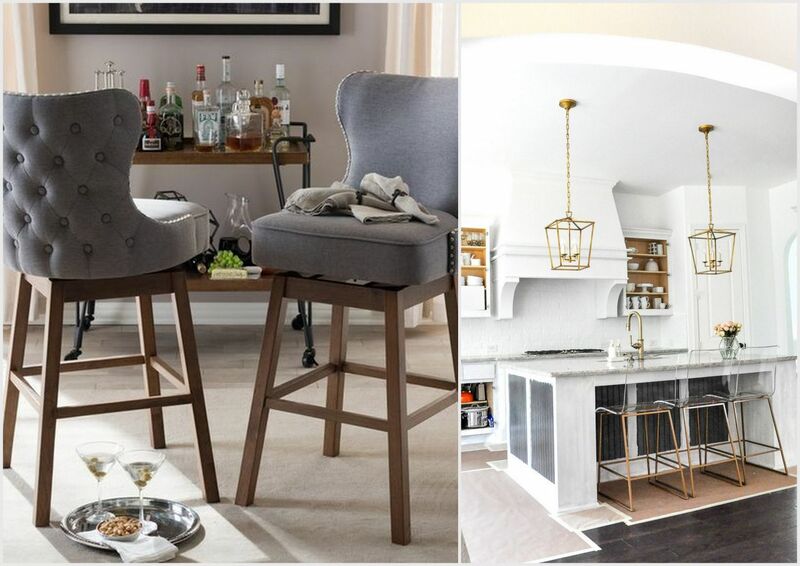 Instantly transporting you to an era of opulence & grandeur, traditional bar stools, whether upholstered or non-upholstered, rolled back or curved back, are great for style and an added flair. A bold choice in any abode, these additions can be the most coveted & talk about pieces that will be appreciated and noticed by all. Moreover, their timeless appeal & luxurious aura is sure to elevate your mood and make you feel like a supreme! Relaxed & refined with flawless functionality & industrial touches, modern bar chairs can be an exclamation point in your décor. Moving away from the stately profiles, these designs are an offbeat take on a laid-back lifestyle where their sleek silhouette defines a glamourous reunion of design and detail. What makes upholstered bar stools desirable is their ability to spark a conversation by instantly lifting up the décor with different colours & textures. An added advantage is unrestricted customization, as you can play with different colour schemes and patterns that go with the ambience of your home. Extremely comfortable and elegant looking, their appearance is neat and sophisticated. For a fresh look that allows contrast of texture in material, opt for bar chairs in natural materials like metal and wood. Boasting a vintage bistro-style charm, metal bar chairs are a classic choice and are usually used in restaurants and cafe-like chic homes for they enhance the décor and provide reasonable comfort to sit for a short while. Additionally, their sleek design makes it easy to stack them away when not in use. 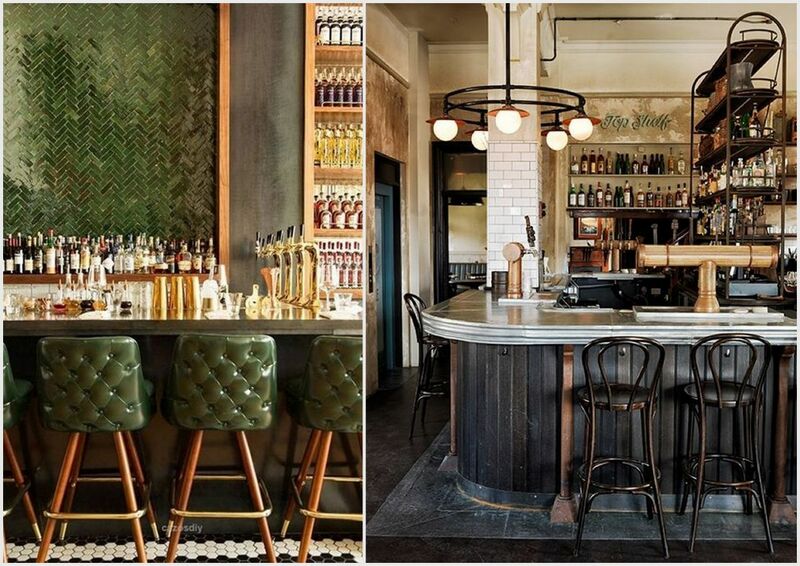 Easily blending in with any interior style & environment, wooden bar chairs are neat and simple with a hint of untamed character. They add a luxurious element wherever placed and can also be used for commercial purposes. Backless bar stools take less visual space and are great for extra seating in lunchrooms while also serving as the perfect addition to your breakfast bars or kitchen islands. You can always slide backless bar stools under the counter; however, they are less comfortable for long periods of sitting. bar table/ shelf, whereas high back bar stools consume a fair amount of space and are suitable for large and spacious homes. Also, how and where your stools will be used can help inform your decision. If they are for the kitchen, look for stain-resistant upholstery. If you plan to place them in a sunny spot, metal and specially treated hardwoods will withstand the changes in heat, light and humidity. What was once just a simple wooden seat has now evolved and turned out to be an essential, so with endless options available which one will be your perfect fit? And if the decision is too hard, then stay tuned, as our new bar chair designs are soon unveiling on www.gulmoharlane.com.